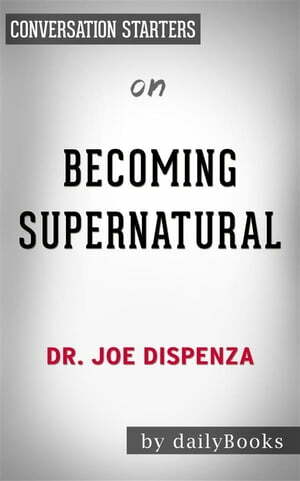 Collins Booksellers - Becoming Supernatural: by Dr. Joe Dispenza | Conversation Starters by Daily Books, 9788828325031. Buy this book online. Becoming Supernatural: How Common People Are Doing the Uncommon, Dr. Joe Dispenza’s latest book, help readers understand the more mystical side of both the universe and ourselves. Dr. Dispenza’s book shares profound scientific information and combines it with more ancient wisdom to provide people with ways to make the common man tap into the more spiritual realm while also bringing them health and peace. Dr. Joe Dispenza is a New York Times Bestseller as well as an international lecturer and educator. His latest book Becoming Supernatural is one among many that Dr. Dispenza has written to help the people around him.